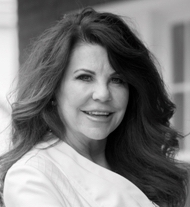 Nancy Braun is the owner of woman-owned Showcase Realty in Charlotte, North Carolina. She has successfully marketed and sold thousands of homes in the Charlotte metro area and is selected by Real Trends/Wall Street Journal as #7 in the Nation on closed transactions. Backed by 20 years of experience as a top producing real estate broker, she leads lead Showcase Realty's five departments: Luxury Homes, Relocation Services, Residential Homes, Investment Properties, Property Mgmt, and Short Sale and Foreclosure Services. She focuses on innovation, attention to detail, and creating a winning team of professionals in order to provide exceptional and professional service. Jim Hastings, Hastings Brokerage, Ltd. The owner of Hastings Brokerage, Ltd., in Las Vegas, Nevada, Jim Hastings has been selling real estate since 1983. In 1984, he obtained his first REO client, Fannie Mae. He earned a bachelor's in real estate from ASU in 1988. 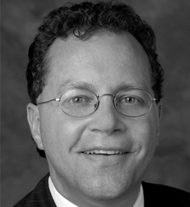 He opened Hastings Brokerage, Ltd., in 1993 in Arizona, and then California, Nevada, and Ohio. He created Broker Brain, the Web-based REO tracking system. He served as a Pro Standards Judge, BOA Las Vegas Vendor Advisory Council, BOA National Short Sale Roundtable, Fannie Mae Vendor Advisory Board when last convened, Freddie Mac's SmartTank 2009/2010, volunteer at Canyon Ridge Christian Church, and speak at Mortgage Crisis seminars. Luis Guzman is the Broker/Owner of Continental Realtors in South Florida. As a minority-owned company, he has had the privilege to work every aspect of the business, from representing sellers, buyers, investors, and developers to having developed homes himself. Guzman currently serves multiple financial and governmental institutions in the disposition of their assets and continues to expand his knowledge and expertise so that he can provide his clients with the best service available. His ability to understand his client’s values and expectations and consider them equal to his own has always been a key factor to Continental Realtors’ success in the industry. Hugh Morrow of RE/MAX Preferred in Birmingham, Alabama, is an industry veteran with three decades of experience in real estate. 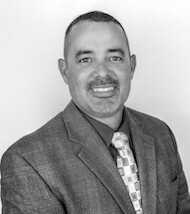 He has focused on REOs for the past 13 years and holds several affiliations, including the National Association of Real Estate Brokers and the National Association of Hispanic Real Estate Professionals. Steve Pagano of Coldwell Banker in Huntington Station, New York specializes in all aspects of the default market transaction, including asset evaluation and preservation, cash for keys, marketing, inspection, etc. 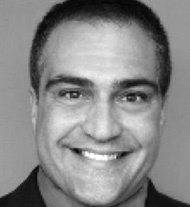 Before opening Pagano Properties, he was the sales manager for the Northern Nassau office for an REO company. Prior to that, he held a position as the chief operating officer of a mortgage company. In addition to working with REO, short sale, HUD, estate sales, Part 41 (judicial properties in New York State), and private equity firms, he is also a speaker for investment groups with a focus on real estate. 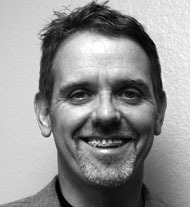 Terry Rasner-Yacenda is the Broker/Owner of Reno Tahoe Realty Group, LLC. ; The company is an 8(a) Certified firm & women & minority owned company. She is a member of REOBROKER.com, & NAWRB. Her team manages and markets bank-owned assets. Their services include REOs, property management, BPOs (with digital photos and detailed reports), property preservation, cash for keys, contractor access, & cradle-to-grave capability. She holds many designations such as CLHMS, Million Dollar Guild, ABR, GRI, CDPE, SFR & CPE. She has received many national awards, is an author and national speaker. 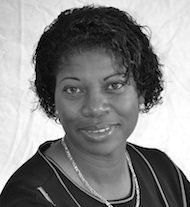 Regina Shaw has been a licensed real estate agent/broker associate since 2004. Her expertise is in residential and commercial real estate, and she has additional experience in retail and industrial real estate sales. 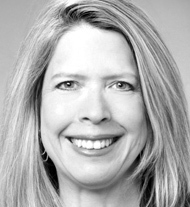 Shaw is a certified foreclosure and short sale specialist with a solid system for assisting her clients to reach sales goals and timelines and exceeding their expectations. She has closed over 500 real estate transactions since 2004 and consistently ranks in the top 10 percent of all Monterey County real estate agent and brokers. She was also the recipient of the Intero Real Estate President’s Award in 2016. Outside of real estate, Shaw is a military veteran who worked with the U.S.P.S for 19 years.